In order to prepare home appliances for relocation properly, you need to read up on how to do so. Before you start preparing your home appliances for relocation, you need to make sure that they are in good shape. Relocating damaged or broken home appliances make little sense as you will be spending money and time to relocate garbage. And moving will cost you, even if you hire the most cost-effective Manhattan moving and storage company. Therefore, before you do anything else, you need to check the condition of your home appliances. Making sure that your home appliances work may seem like a pretty straightforward thing to do. Simply plug them in. If they work they work. If not, oh well. Simple as that, right? Wrong. Especially wrong if you haven’t used your home appliances in a while. A broken or damaged home appliance will easily cause a short circuit which may damage the electronic installations in your home and even other devices. Furthermore, you can cause a fire by not playing it safe with testing home appliances. And the best way to truly play it safe is to get a multimeter. 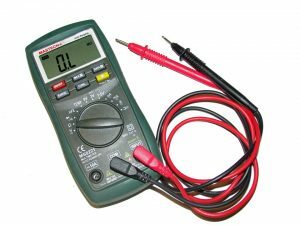 A multimeter is a neat device which you can use to test your electronic devices. They will tell you if the device’s circuits are working properly. Furthermore, they will help you find the location of the issue if they are not. A multimeter can be great for checking whether or not your home appliances work. This usually a long shot, but you might want to look for original paperwork and packaging of your home appliances before you pack them. If your appliances have guarantees on them, you should keep them safe for easy use. And if you still have the original packaging, you can use it to pack your home appliance for relocation. You will not find a better box for your home appliance then the one it came with. Now that you know how good your appliances are and whether you should even bother relocating them, it is time to start your preparations. 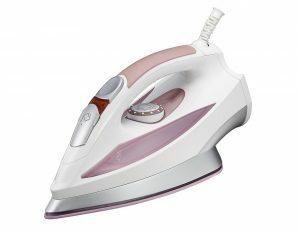 Now, what you need to realize is that you cannot prepare home appliances for relocation without getting packing supplies. If you have saved the original packaging, great! But, for that 99 % of readers who did not save it, here is what you need to do. First off, you need to get yourself some moving boxes. Sure, you can try to ask around your local stores and warehouse. They will be more than happy to give you free moving boxes. But, as one shouldn’t look a gift horse in the mouth, you cannot control the quality of your boxes. And, you are going to need good quality boxes in order to prepare home appliances for relocation properly. Try visiting your local movers. Most of them will sell you excellent quality moving boxes. And, even if they don’t, you can get some good advice on how to prepare for the move ahead. The next things you will need are padding and wrapping materials. You need to make sure that your home appliances remain intact throughout the relocation. Most of them are quite fragile and can be easily damaged by a slight blow. Furthermore, since they are designed to work with electricity, they are probably quite fragile to moisture and bad weather. What you need to do is make sure that they have enough protection around them. You can either purchase padding and wrapping materials, or you can use your clothes to wrap your items. Make sure to get enough. There are many things you can do with them after the relocation. Even though some home appliances may look sturdy, you don’t want to test if they really are. Now that you have everything that you need, you can finalize your preparations. All that is left to do is to pack your home appliances and make sure that they get properly loaded into the moving truck. Now, you need to keep in mind that there are a right way and a wrong way to pack home appliances. Actually, there are multiple wrong ways, which is a reason more why you need to stick to our guide and carefully follow our instructions. Start off by unplugging your home appliance and cleaning it thoroughly. Next, wrap in a moisture absorbing layer. This can either be your clothes or some other cloth-likee material. The important thing is for it to be absorbent. 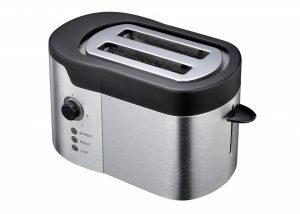 Plastic wrapping will not do for this as it will not protect your appliance from moisture. Next, you need to place padding. For this, you can either use thick clothes or crumbled up newspaper. Anything that will provide some protection if you accidentally drop your box. Finally, you need to place your appliance, along with the padding and wrapping, into the box. It shouldn’t be too loose nor too tight in there. The last thing you need to do in order to prepare home appliances for relocation is to make sure that they are properly loaded. Now, most movers will know how to pack a moving truck, but it doesn’t hurt for you to be familiar with it. Your appliances need to snug inside the moving truck. If there is to much room or if there is something heavy placed on them, there is a good chance that they will get broken or damaged.